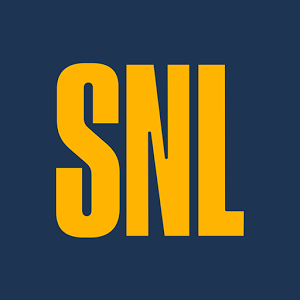 Saturday Night Live has brought sketch comedy to weekends for decades, and over the course of that time, NBC has come up with various ways to make sure the skits stick with viewers for the remainder of the week. Its latest approach is to create a dedicated app that you can take everywhere and fill with enough shots of nostalgia to give a committed fan an overdose. You can download this app to stream all the clips you want without subscribing to anything, and it really only takes a couple of taps to find yourself watching a playlist that takes you down memory lane and leaves you snickering uncomfortably at the back of the bus. The interface is snappy, though the design is a little up and down. In some places it's sleek, while others look rushed. But if you're mainly here for clips, the time spent navigating between content probably won't amount to much. You don't have to merely take in what videos you're given. 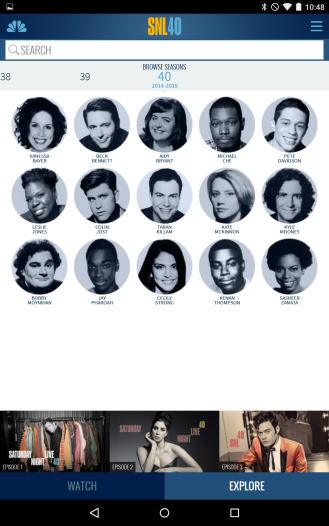 The app lets you search for clips by time period, season, and actor. 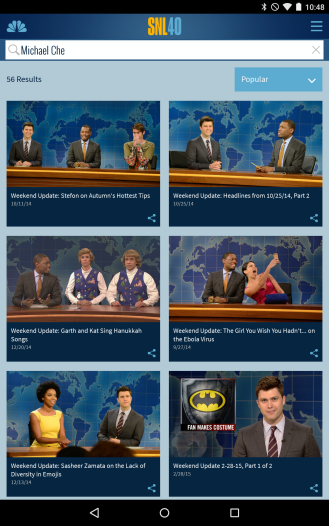 This way if you're a fan of Michael Che, Kate McKinnon, and Seth Meyers, you can maximize how much time they occupy on your mobile device and gloss over everyone else. 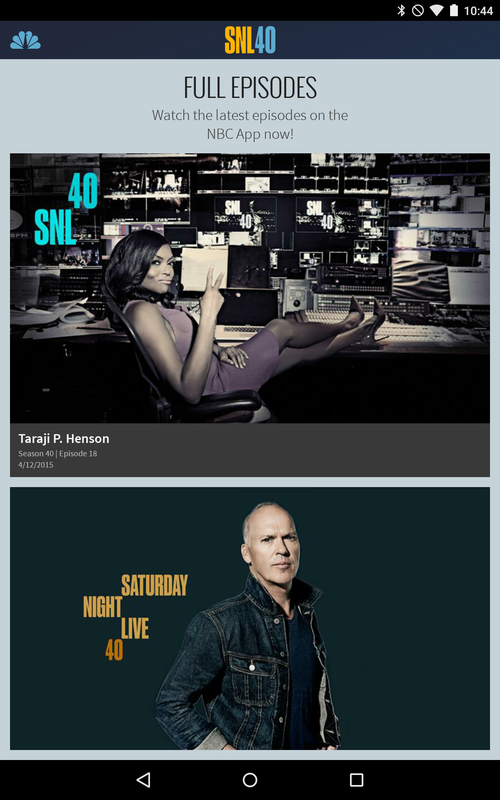 For full episodes, you will need to install the main NBC app. But this app does contain a little bit more to hold you over aside from clips. 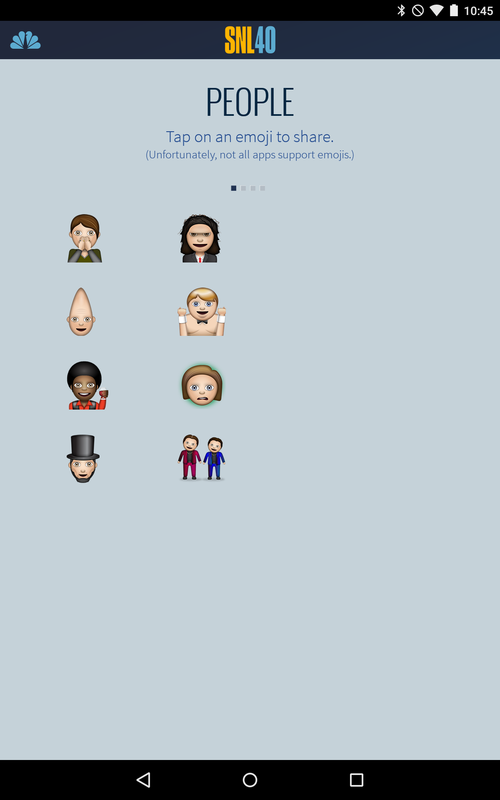 In addition to telling you when the next episode will air, you can insert Saturday Night Live-themed emoji into apps that play along. 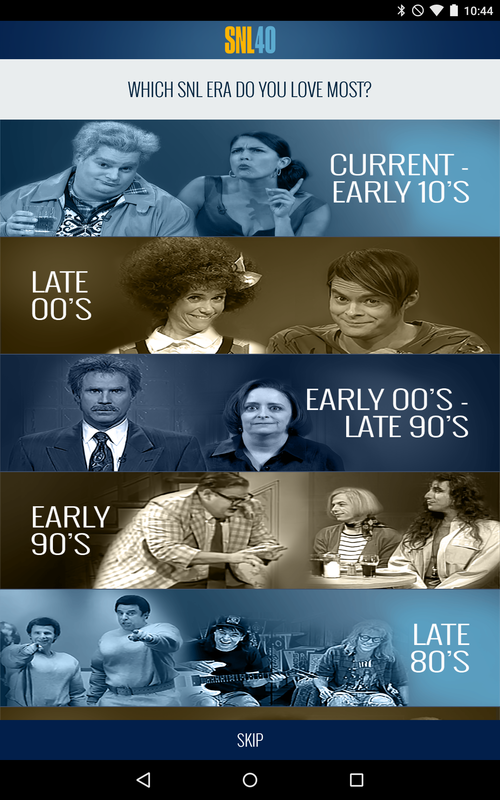 It's always Saturday night at the Play Store link below.